Home eye conjunctivitis Can wearing glasses prevent eye conjunctivitis from spreading? Conjunctivitis is a viral infection of the eyes which commonly causes redness, swollen eyelids, burning sensation and tearing. The sudden changes in the environmental condition favor viral growth and thus, help in the rapid spread of the infection. 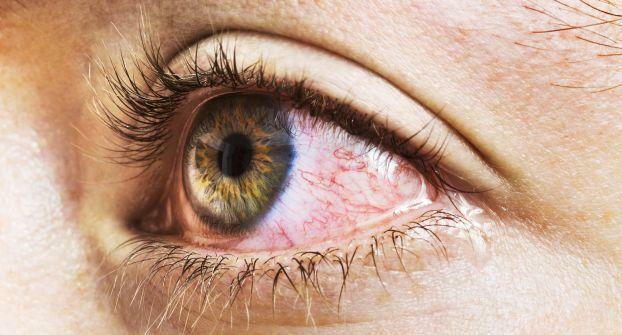 This is why, people suffering from conjunctivitis are advised to follow good hygiene practices and to wear dark glasses to ease the symptoms they experience due to infection. Also, the use of dark glasses is more of a protective measure to prevent the already infected eyes from further infections and not to prevent the spread of conjunctivitis, as thought by many. Here’s why the common myth is just that — a myth. Why doctor recommends use of dark glasses? The main reason behind the use of dark glasses by people suffering from conjunctivitis is to protect the eyes from light, as their eyes tend to become sensitive once infected. Also, using glasses protects the eyes from dust and other particles thereby preventing the infection from further worsening. But, it definitely doesn’t mean that wearing dark glasses cures the infection or prevents it from spreading to other people. How does the infection get transmitted? Through contamination such as rubbing of eyes and touching an item that is then touched by a healthy person, sharing make-up essentials or contact lenses with a person infected with the virus. Using unwashed towels, bed linens or pillow covers, which have been used by the individual with conjunctivitis. Use of eye-drops or any ointments that were used by the infected person. What else should a person with conjunctivitis avoid? People with conjunctivitis should avoid going to crowded places (markets or shopping) and offices as the chances of spreading the infection to others is very high. Apart from this, here are few tips to keep in mind to aid the infection heal quickly. Do not strain your eye by watching TV continuously or working on the computer. Rubbing of eyes and splashing water on them (frequently and vigorously) is a common mistake done by many, which should be avoided. Do not allow anybody to use your handkerchiefs or towels as they can spread the infection easily. Never use any antibiotic eye drops or eye ointments without consulting a doctor. Hence, while wearing dark glasses is a good way to prevent the further worsening of conjunctivitis, it in no way prevents it spread. The only thing that does is following good hygiene practices and self-care to attain quick relief from the condition.